While convalescing in a Veterans Administration hospital in Lincoln, Nebraska, Downey began graduate studies in chemistry at the University of Nebraska. During this time, he took part in a series of Army-administered IQ and aptitude tests. “These tests indicated that I had particular strengths in spatial visualization, mathematics and physics. They also suggested that these strengths were best suited to the fields of architecture and geology,” he says. Downey was transferred out of the E&P segment and assigned to Shell’s R&D laboratory in Bellaire, Texas to work with a group of world-class chemists on a special project aimed at understanding the occurrence, origin and migration of oil. Within one year in the group, Downey had been promoted to project supervisor, with 35 researchers reporting to him. After four years of working in R&D, Downey’s career took another pleasant and unexpected turn. “After just a decade of work experience, I was made Chief Geologist. I was shocked, as this promotion made me the youngest Chief Geologist in Shell history at the time. I was only 35,” Downey says. Over the next 20 years, Downey held a number of management and executive roles within Shell, including his final one as President of Shell’s international business arm, Pecten International. He retired at the young age of 55, with no thoughts of entering into a new oil and gas venture – at least, not initially. Downey founded Roxanna Oil Company in 1987, with a mandate to evaluate oil and gas plays on behalf of its clients – which include Shell, Matador Resources, Maersk, Marathon Oil and Petrohunt – and to participate in their development. The company’s name has an interesting origin – one that helps explain how Roxanna Oil has evolved over the past 20 years. 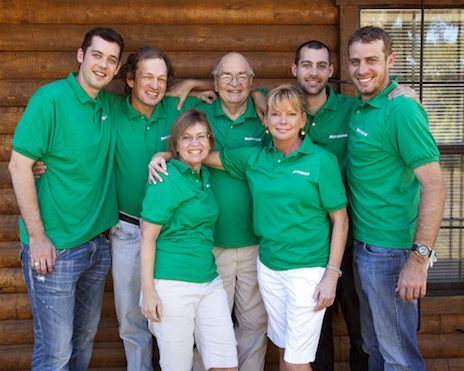 Under Downey’s leadership, Roxanna quickly established itself with significant holdings of international acreage and a number of wildcat wells drilled. His career path then took another unexpected turn, thanks to a request from Atlantic Richfield’s (Arco’s) board of directors to join the company as Senior Vice-President of Explorationin Arco International. Soon after, he was promoted to President of Arco International, with separate functional responsibility for reviewing all exploration in Arco for the board of Arco. Upon retiring from Arco at 65, Downey then joined the faculty of the University of Oklahoma as the first Bartell Professor of Geoscience, as well as the Chief Scientist of the university’s Sarkeys Energy Center. After three years of teaching, Downey was elected president of the American Association of Petroleum Geologists (AAPG) before finally returning to Roxanna Oil, which remains a privately held, debt-free, family-owned company. Roxanna shareholders gather to celebrate Marlan’s 80th birth- day and another good year. Back row (left to right): Alex, Don, Marlan, Nick, Justin. Front row (left to right): Julie, Karen. Roxanna consists of a segment that originates and participates in conventional oil and gas investments, as well as a consulting arm that finds particular classes of oil and gas acreage for its clients. The company takes this consultation a step further by offering to take a working interest position with each client. Roxanna’s team is comprised of experts in the fields of geology, geochemistry, geophysics, reservoir engineering and economics, with each person bringing an average of 30 years of experience. Many retired recently from major oil companies but, like Downey, were not ready to stop working. “We have all been in the oil business so long that we know most of the senior-level people in many of the operating companies, and they know us by name and reputation,” Downey says. A typical exploration assignment for Roxanna lasts for one year and begins with the Roxanna team selecting a region to study for their client. This is usually a data mining exercise using modern geographic information system technologies, in which a large number of well logs, perhaps hundreds of thousands, are winnowed down to a more manageable number of representative wells that meet certain geological and structural criteria. Further analysis narrows the search down to those reservoirs that have the best prospect for success, at which point Roxanna conducts lease reviews until they are satisfied with the play. If the client decides to develop the play, Roxanna takes an overriding royalty or working interest, depending on the client’s preference. Over the past several years, Roxanna has focused a great deal of its exploration attention on shale gas plays. The company currently holds nearly 600,000 acres (2,428 km2) of royalty and working interest in plays across the US, including the Marcellus, the Barnett, the Chainman, the Phosphoria and the Woodford. One major exploration category for the company is shale oil, which it has been pursuing in earnest for the last several years. Downey estimates that good shale oil plays are three to five times harder to find, on a technical basis, than shale gas. Downey’s accomplishments have been recognized many times by the industry he has faithfully served for half a century. 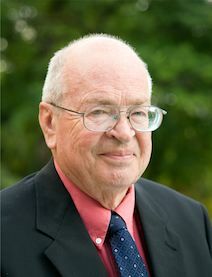 His many awards include a Hedberg Medal for outstanding scientific achievement, the distinction of ‘Legendary Oil Finder’ by the Petroleum History Foundation and the Sidney Powers Memorial Award – the highest honor bestowed by the AAPG – for outstanding contributions to oil and gas exploration. And while many people might be content to reflect on these accomplishments and accolades in retirement, Downey has no intention of slowing down any time soon.